Looking for a fun way to be festive this coming Valentine’s Day?? Why not make a shirt for your kiddos (or even you) to wear on the day of love?! I have a weird obsession with funny shirts. Seriously. 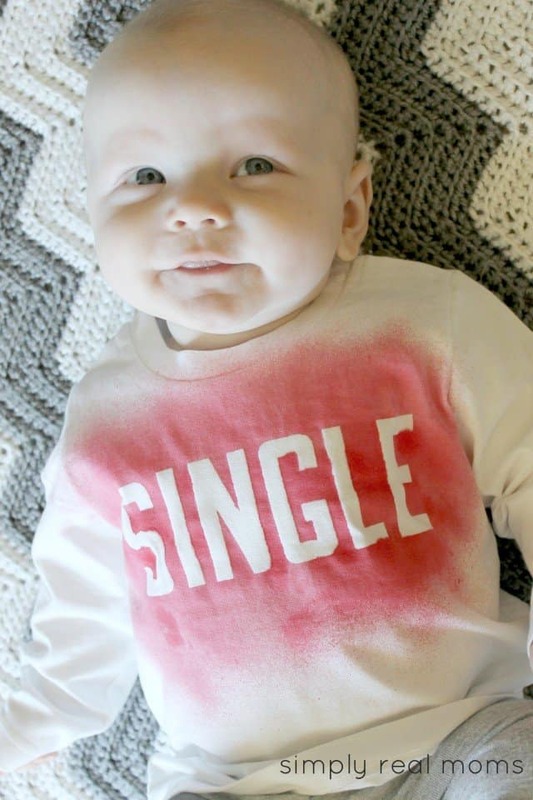 I have an entire photo album full of witty onesies and snarky t-shirts my boys have worn, and now even friends and family join in and give them shirts with funny phrases on them!! Valentine’s day is a day of love, but I love to be a little silly about it too. 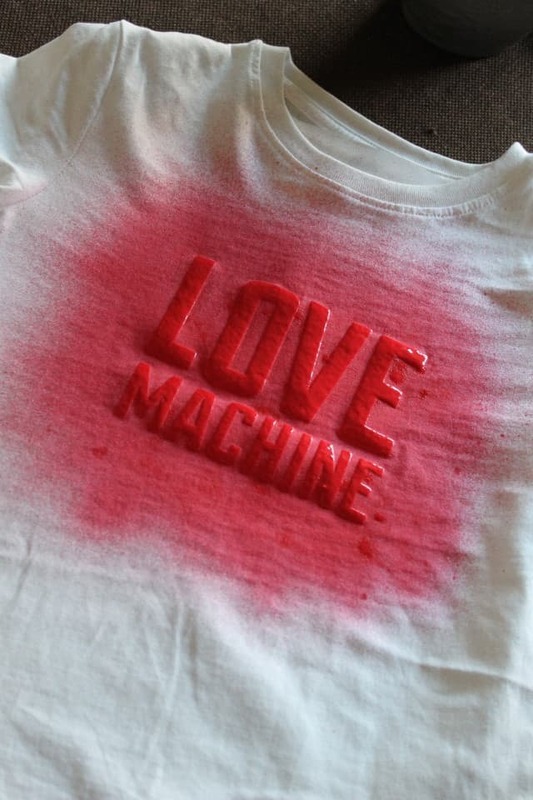 We give out fun Valentine’s to our friends and I always make a fun t-shirt for each of my kids. 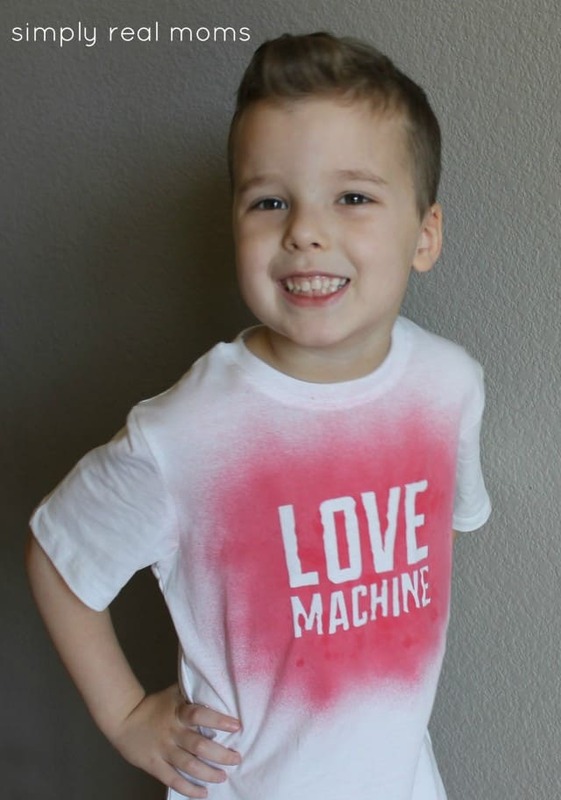 This year, I used a fun approach to make a shirt that is different and OH SO EASY to make! 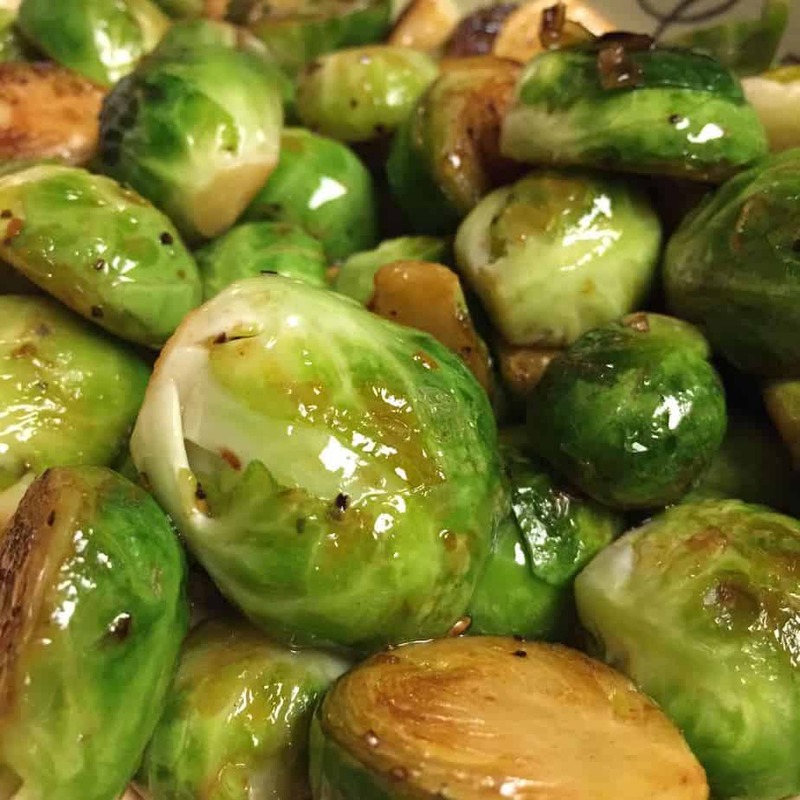 *Freezer paper can be found next to the wax paper and saran wrap. Some stores carry it, some don’t. I can usually find it at Walmart, and one roll lasts me forever. I used it in THIS project too! 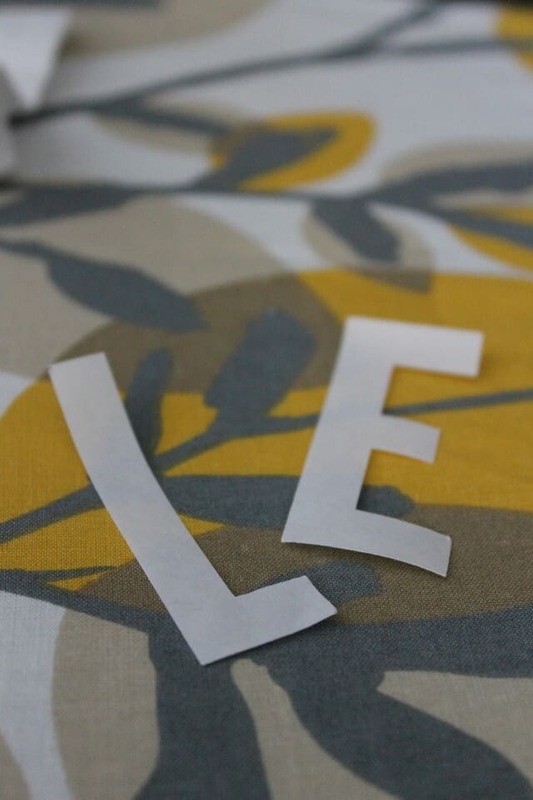 Start by printing out the words or design you want on printer paper, then trace it onto your freezer paper. You can also freehand it right onto the freezer paper!! 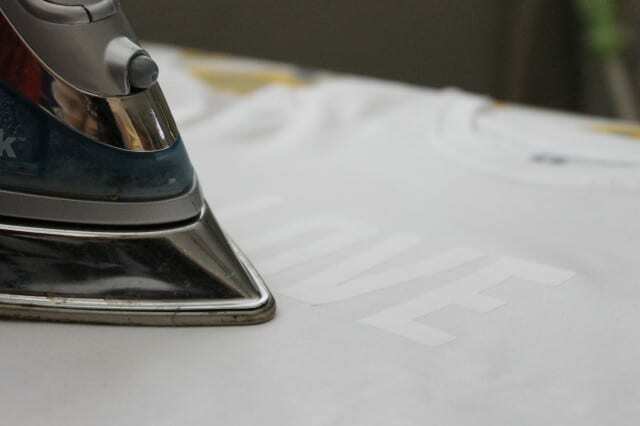 Place your freezer paper onto your t-shirt as you want it to look shiny side down and iron over it. Place a piece of freezer paper the size of your shirt into your t-shirt to act as a barrier to keep the paint from bleeding through. 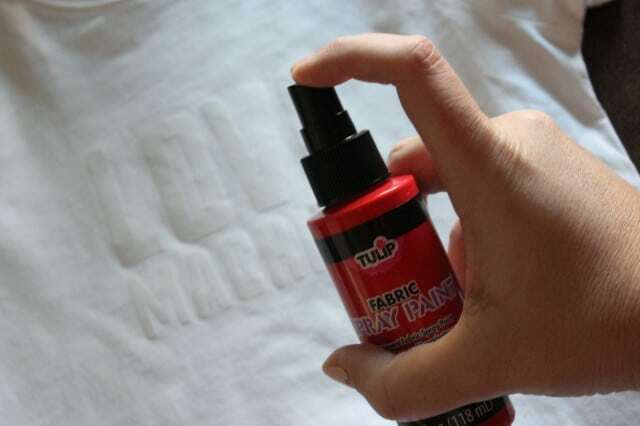 Spray your fabric paint over the words/design until you have the desired shade of color. Now, you can see that I have some big blotches on the shirt…If you press the pump halfway, it will blotch rather than mist. This COULD look cool, but know that if it blotches too close to the letters, you will have some bleeding into the letters rather than crisp lines. To avoid this, spray at least 6 inches away from the shirt and press the pump fast. 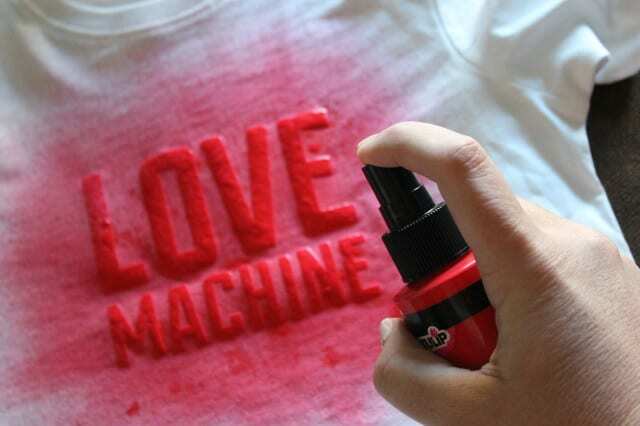 Let the shirt dry for several hours or overnight, then peel off the freezer paper. VOILA!!! 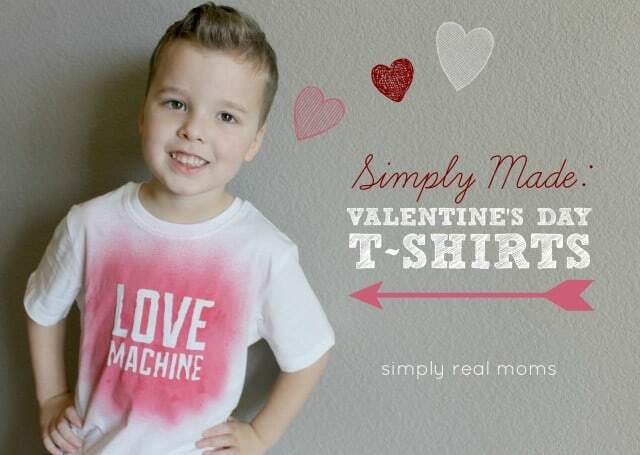 An awesome shirt that can say anything you want it to! We think imitation is the BEST form of flattery! If you make this or any of my Simply Made projects, come by and post a picture of it on our Facebook page! We want to see! 3 Sprouts Storage Bin: A Must Buy for Any Modern Nursery! Holiday Pajamas for the Family! Very cute! I love the jean jacket idea and love the little guy even more!